It seems that NetherRealm Studios" latest DC fighting sequel, "Injustice 2" sold nearly haft a million digital copies worldwide. SuperData has revealed that the worldwide digital video games market grew 9 percent year-over-year in May 2017 to $7.8 billion. Because of the launch of "Overwatch" last May, console dropped by 7 percent and premium PC dropped by 30 percent year-over-year. In the United States alone, gamers spent over $1 billion digitally across all platforms in May, which is up from April. The biggest new release of May 2017 on console was "Injustice 2," which sold nearly 500,000 copies digitally on PlayStation 4 and Xbox One consoles. Joining alongside "Injustice 2" is the "Zombies Chronicles" DLC for "Call of Duty: Black Ops 3" also launched in May and actually beat "Infinite Warfare" in console digital revenue, PlayStationLifeStyle reported. In other news, a list of new DC characters that could possibly make it to "Injustice 2's" DLC roster have been revealed. NetherRealm launched Red Hood in "Injustice 2's" roster and "Mortal Kombat" character Sub-Zero will be joining him on July 11 in the PlayStation 4 and Xbox One. While Starfire's debut and release date has not been announced by NetherRealm Studios, several gaming fans are still curious as to who are the remaining DLC characters in "Injustice 2's" roster. 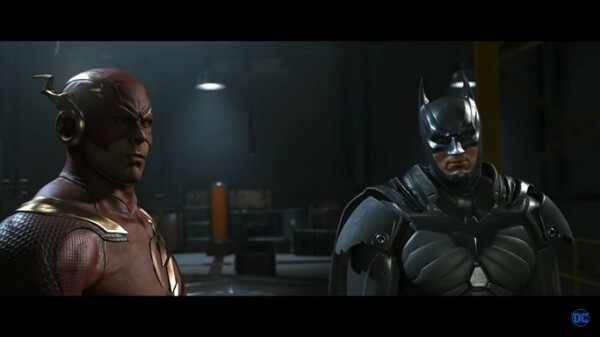 With characters like Black Manta and Raiden already an obvious giveaway, several gaming fans theorized that the remaining fighters could be Azrael, the Enchantress, Watchmen member Rorschach, John Constantine and Spawn, ComicBook reported. The is also be an "Injustice 2" World Championship that will feature 16 players fighting in a tournament for a prize of $250,000. TBS will air select matches on TV with full coverage of all games on digital platforms. The event starts with an open qualifier on Saturday, Oct. 21. The DC fighting game sequel is the fourth game in ELEAGUE's roster, following "Counter-Strike," "Street Fighter 5" and "Overwatch." The latter had its television tournament debut on TBS via the network's esports league last September. "Injustice 2" is currently available for the PS4 and Xbox One consoles.